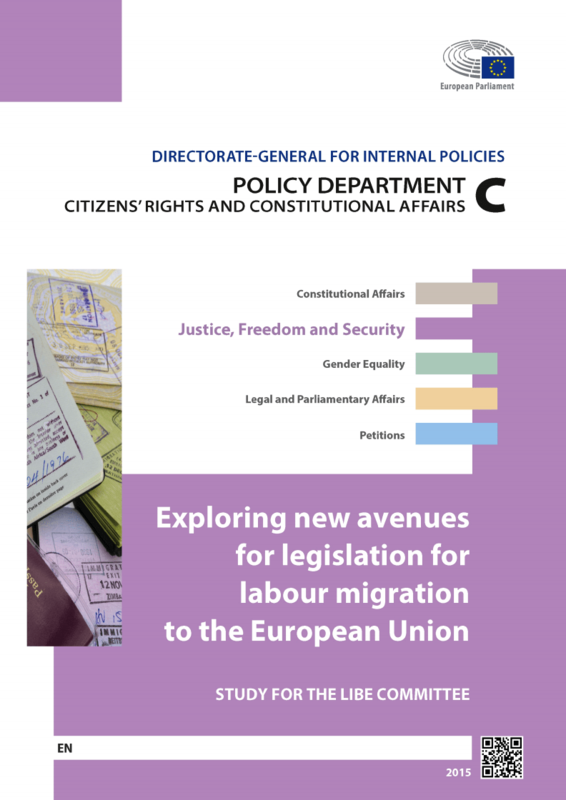 The Committee on Civil Liberties, Justice and Home Affairs of the European Parliament (LIBE Committee) has just published a Study elaborated by the Migration Policy Centre on Exploring New Avenues for Legislation for Labour Migration to the European Union. The Study is a contribution to the discussion over the European Agenda on Migration and has been commissioned in the context of the ongoing LIBE Committee work on the Strategic own-initiative report on the situation in the Mediterranean and the need for a holistic EU approach to migration. It reviews the social and economic context of EU international labour migration policy, including labour needs in Europe, the status of relevant EU legislation and the available policy options from a comprehensive labour market perspective.